The headband strain is a descendant of Indica strains called OG Kush and Sour Diesel. This will hence, produce the power of both of these strains. Its pungent bud will surround your body with perfect warmth. They say when you take it, it suddenly feels like that you are wearing a headband over your hand, which is shielding you from problems like pain and anxiety. It is this, from which the name “Headband” comes from. The name itself describes the aura with which it will undoubtedly surprise you. If you’ve ever worn a headband, you might notice the sudden warmth one receives after wearing it. It’s not just your temple area but rather the entire head gets wrapped in the warmth that is just amazing to feel. A headband is predominantly Indica, which is at around 60% to be exact. It has high THC content, but it still provides a relaxing and winding down effect after an extended day. You can also use it to treat chronic pain. There is a wide range of benefits when it comes to the usage of Indica. As it indeed is a diverse strain. It has been said that this particular strain pushes the blood vessels around the earlobes to open up, hence the headband feeling it initiates. This increases the blood flow around the brain improving on the brain functions. This origins of this strain are in the realms of serious dispute. Some say that it may have been developed by Reserva Privada Breeders of the Colorado state. Others say that it was developed originally by Humboldt County in California. Whatsoever the case may be, either way; it produces a smooth and powerful buzz for the user. 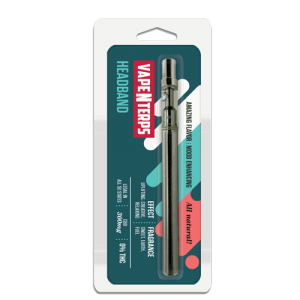 300mg Headband CBD Vape Pen – for $34.99! The users have described the taste of the Headband strain as having mostly a lemony taste. 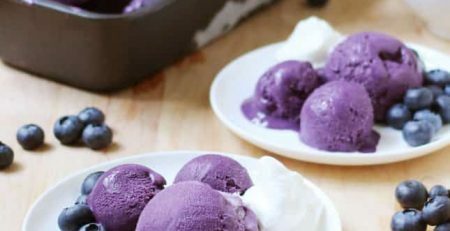 However, it also has been described by users as having a pungent and earthy tinge in the taste along with the lemon taste explained previously. Its beautiful lemony aroma is going to fill the whole room and may seep out of the room too. The simple taste and smell are for sure going to make it very palatable for the user or even a nearby individual. If we are to categorize its aroma, then the headband can easily be put into the citrusy side of flavors. 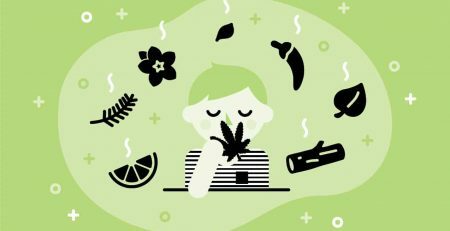 Normally, if we are to classify it regarding flavors, then the headband falls under citrus, lemon, lime and funky aroma. The best part is that the aroma never really feels pungent. Alternatively, in other words, it will not create an irritating effect which can sometimes be associated with citrusy aromas. The buds are made up in immense nuggets of icky-sticky trichomes in white color that essentially produces it’s THC. When you grind it, the structure of it is going to release a smell with hints of pine, lemon, and skunk-funk. It is abundant with various medicinal chemicals, which can produce excellent calming effects for the user. It is a strong drug deriving from two strong strains of cannabis. This means that the results of it are going to be strong and while we are at it, they are going to be different too. 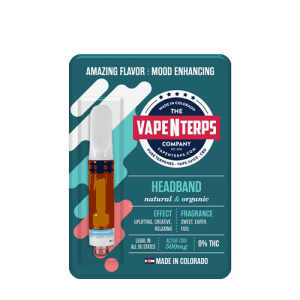 500mg Headband CBD Vape Cartridge for $49.99! Chronic pain can be a real problem and effect in a wide variety of ways. A person suffering from chronic pain often undergoes long phases of trauma and an inability to function aptly in everyday life. The Headband strain hence can make a difference in this area. Its effectiveness will although be slow, but it will be steady at the same time. Therefore, continuous usage is necessary to achieve optimal results. Symptoms such as anxiety and fatigue also accompany chronic pain. This can, in turn, lead an individual into depression and other mental illnesses. The headband strain hence is the perfect remedy to all chronic diseases that are related to the health of the brain and body. When it comes to the body, chronic pain often comes with pain in joints and ankles; this problem can also be addressed by the headband strain. The effects are going to be different and strong in the sense that they may be new to you in terms feeling them. It can provide a user with a surprise loop of hallucinations and head-tripping potent effects, which may stay for many hours. This does not mean it does not calm down as once the calming effects set in after the initial attack, relaxation and mild pain relief ensue too. This should serve as a warning to the beginners of cannabis smoking. 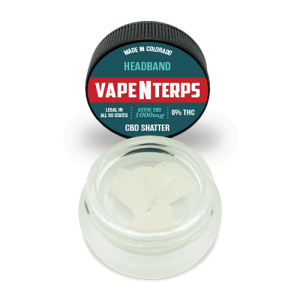 Even the dosage of 0.1g Headband can send you to a roller coaster ride for up to 2.5 hours. The headband was initially named Diesel No. 1. It was made by a breeder named Weasel, and it was made in the East Coast of the USA by this same breeder. After some time it was nicknamed the Underdog or Daywrecker Diesel. Soon after it made its way into California to be renamed again by a breeder named Loompa. This time it was finally called Headband. The so-called “Phantom Headband” feeling comes in full effect even when just 0.1g of Headband is taken. The near-sudden rush comes running to head soon after the intake that brings along the familiar feeling of perimeter around your head. The effect can be dizzying and can even surprise the experienced cannabis user with them even knowing. It’s just that potent. 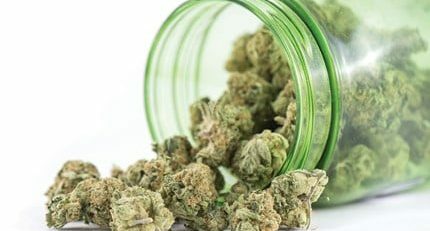 Another feature of this particular strain is the auditory hallucinations such as a user feeling body vibrations and can also hear sounds from afar that are not there. The buzz mostly concentrates in the head, eyes, and face. Visual hallucinations can also be seen, and there is an increase in the numbers of “eye floaters.” Afterward, a relaxations period kicks in easing the roller coaster we go through at first. This way it calms us down while also gives us an energy boost like an Indica rather than making us crash as the usual Sativas do. The Headband cannabis strain has around 20% to 27% THC content. This could have meant paranoia, stress, and anxiety to the user. However, due to its strong flooring and couchlock features, it can put an agitated and stressed mind at ease at once. The strong warm temperature that it puts your body through can help bring relief to various ailments. This ailment can be stuff like Chronic Pain, Fibromyalgia and Chronic Fatigue Syndrome. The previously mentioned “headband” effect can also help bring relief to migraines and chronic headaches. This very same warm temperature can act as a warm blanket for the user. This can be very helpful for intimacy with your partner. You see when you are with your partner, with friendly and fluffy feelings it is much easier to have fun and to talk with your partner. Tingling and soft sensations will abound, and you will probably feel the need to cuddle and embrace your partner. It is perfect for making up if your partner is not talking to you. The headband can also help a user relax his or her overworked body. The “Headband” effect is also very effective at inducing a friendly atmosphere. It does it through inducing a strong high containing effects of foggy mind, giggling, and forgetfulness. The process of growing weed in case of headband cuttings can be a slow and an arduous process. However, this doesn’t slightly imply that the entire process is not worth it. If you have the patience and skill, then you can certainly grow some great weed out of it. Headband is a plant that is 30-70 inches in height and only grows in an area where there is ample sunlight, and the surroundings are warm. Also, the area where you are growing these plants should be well covered. Moreover, you should be able to offer protection against rain. These are delicate plants, and for them to be grown, a highly stable environment is required. If you are growing headband plants inside, then they will take around 9-10 weeks. In the result, you will achieve 18 ounces of top-notch indica per meter squared. Weed made from Headband plant has a higher THC content when put in comparison with other strands. THC frequently can be placed in the bracket of 20-27% when it comes to the headband plant. This is higher than one would expect, but its effect can produce a euphoric feeling when a person consumes it. This is the reason why its consumption is encouraged to people who are suffering from anxiety and depression. Drinking it can make you feel relaxed in an instant. So of course, you will experience a high as well. The content of THC being higher might give the impression that it will make you more agitated. However, the opposite is true because it can induce a couchlock effect on your body which will make you relaxed in an instant. Headband users term the entire experience of consuming headband weed as the headband effect. It beautifully describes the warmth you will receive after consuming it. Furthermore, it is known to treat headaches and migraines. So, this even gives a casual user to use it more often!